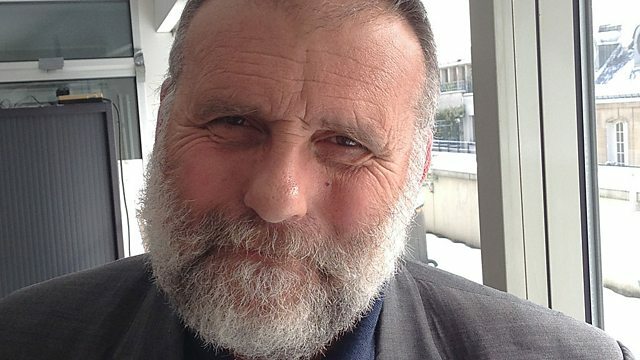 Matthew Bannister talks to Father Paolo Dall'Oglio, a Catholic priest who has become a star on Syrian opposition TV. Matthew Bannister talks to Father Paolo Dall'Oglio, an Italian Catholic priest who works to promote dialogue between Christians and Muslims in Syria. But when the Syrian uprising started in March 2011, Father Paolo's outspoken criticism of President Assad lead to his expulsion from the country last summer. Since then he's moved to Iraqi Kurdistan, where he's set up his own TV talk-show on a Syrian opposition channel. Also today, celebrity chef Michael Moore from Australia describes the moment he had a stroke and how the event changed his life - and his attitude to food - forever. He's just published a book of recipes to help people live a healthy lifestyle.